Online Courses Begin April 28th. One Day Event, April 28th at CSU, Fresno. 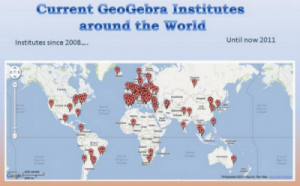 GeoGebra is suited to promote equity in the math classroom; it is free open-source software, intuitive, user-friendly, and easy to use.